Figure 3-32. Intake and exhaust valves, exploded view. Gasket, copper, 1 23/32 in. Screw, 1/4-28 X 3/8 in. Washer, lock, ET, 1/4 in. 8 High-pressure intake valve seat. 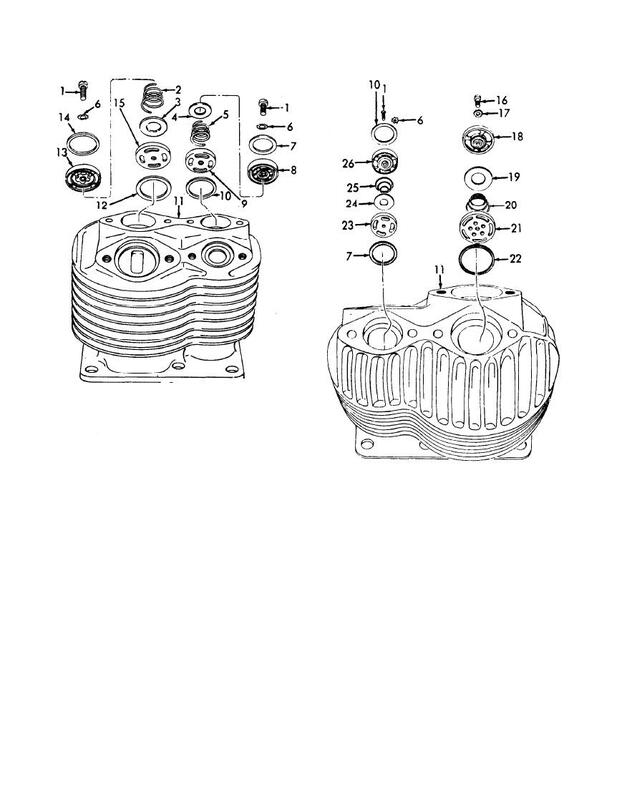 assembly in the cylinder (11).